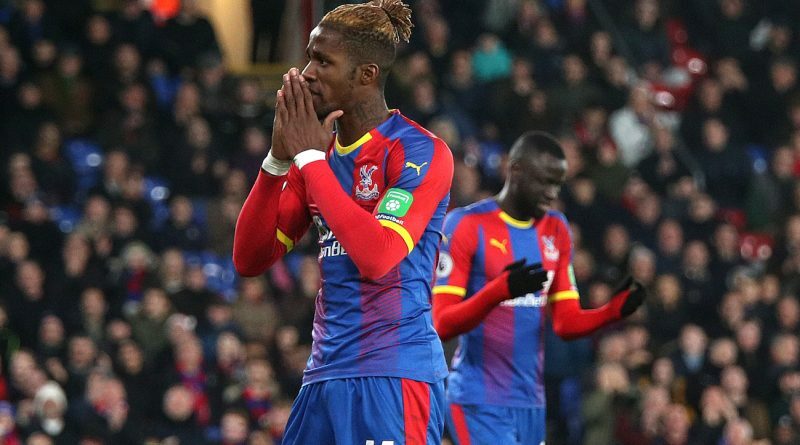 Crystal Palace’s strikers had an off-day as the Eagles drew a blank at home to Cardiff City. The Eagles twice struck the woodwork and amassed 31 shots, but only tested Bluebirds goalkeeper Neil Etheridge on five occasions. The South Londoners began brightly and should have led when Andros Townsend dinked an effort on to the crossbar. The forward was the beneficiary of a wonderful Palace move with Cheikhou Kouyate and Wilfried Zaha exchanging clever passes, but could only lift his effort onto the woodwork with only Neil Etheridge to beat. 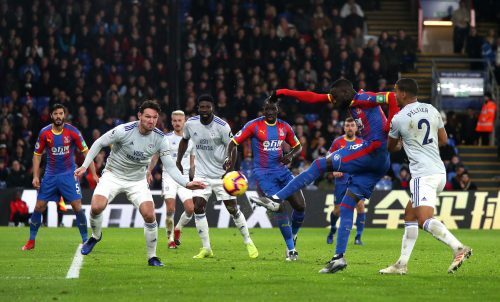 Zaha and Aaron Wan-Bissaka fired efforts wide and James McArthur had a shot blocked as the Eagles dominated the opening 20 minutes. 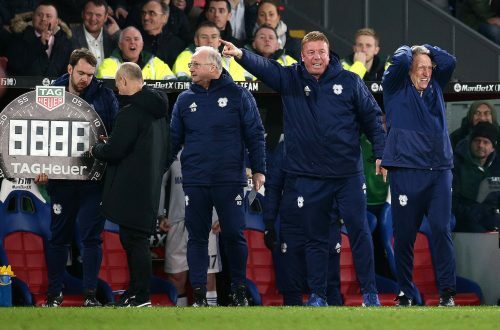 Neil Warnock’s Cardiff side resembled the Palace team he led for the first five months of the 2014-15 season. The Bluebirds sat incredibly deep and almost appeared scared to advance forward in fear that Palace would regain possession and escape away on the counter-attack. Bobby Decordova-Reid had the Welsh outfit’s only chance of the first opening 45 minutes, miscuing a header from six yards which failed to trouble Vicente Guaita. An excellent block from Sol Bamba denied a goal-bound Kouyate shot shortly after half-time, before the former West Ham midfielder inexplicably fired over from six yards in the aftermath of the resulting corner. Crystal Palace’s Cheikhou Kouyate (right) in action during the Premier League match at Selhurst Park, London. Zaha showed flashes of quality and a nonchalant flick around Bruno Ecuele Manga allowed him to tee up Max Meyer, but the German sliced wide. The Ivorian then showed the more frustrating side to his game, involving himself in a scuffle with Joe Bennett which meant the game had to be halted while Palace countered. Roy Hodgson turned to Connor Wickham as his side continued to misfire. 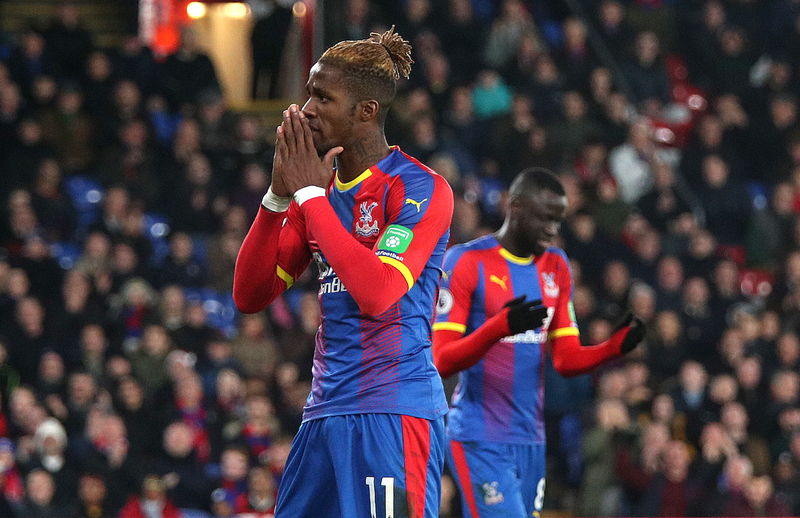 It was the striker’s first Selhurst Park appearance since he netted in a 2-1 defeat to Manchester City in November 2016, and he was immediately involved when he flicked on Townsend’s cross only for Zaha to volley over. Cardiff City manager Neil Warnock gestures on the touchline during the Premier League match at Selhurst Park, London. Wickham then had a golden chance to score, swivelling and firing wide as Palace passed up an opportunity to take the lead. Milivojevic struck the post with a delicate free-kick before Etheridge kept out Zaha. Guaita was then forced into a good save by Kadeem Harris, who had capitalised on a poor header by Sakho. A superb tackle from Bamba denied Zaha as the striker sprinted through on goal, before Patrick van Aanholt fired at Neil Etheridge with Palace’s final chance. This will seem two points dropped for Hodgson’s side, but the Eagles faithful will happily accept four points from these last two fixtures.